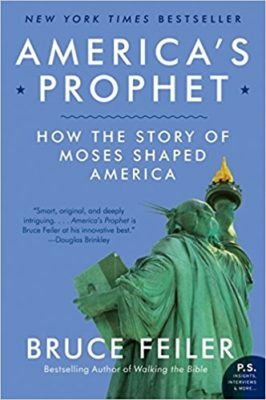 In honor of the 50th anniversary of Martin Luther King’s death, I’m posting an excerpt of my book America’s Prophet: How the Story of Moses Shaped America in which I visit the site of King’s famous “Mountaintop” speech, delivered the night before he died, in which the “American Moses” compared himself to Moses. The Mason Temple is about a ten-minute drive from downtown Memphis, a few blocks from a bend of the Mississippi River that divides Tennessee and Arkansas. Not a Masonic temple, as I expected, the building got its name from Charles Mason, a local Pentecostal preacher who in 1897 founded the Church of God in Christ. Today the denomination boasts 15,000 pastors in 56 countries. Built in the 1940’s, the blocky, concrete headquarters contains Bishop Mason’s tomb and what the church claims was the largest black sanctuary in America at the time. With steel in low supply because of the war, the room was built with a tin roof and yellowed wooden chairs that encircle the pulpit. The effect is even more church-in-the-round than Plymouth Church in Brooklyn, so much so that most of the 3,732 seats are actually above the preacher, who stands near the lowest point of the room like a drum major at the 50-yard-line. Instead of the top of a mountain, the speaker preaches from the bottom of a bowl. In early 1968, Mason Temple became ground zero for civil rights. On February 1, during a vicious rainstorm, Memphis’s most famous resident, Elvis Presley, left Graceland for Baptist Hospital with his wife, Priscilla, who soon gave birth to their daughter, Lisa Marie. At the same hour, two black sanitation workers, seeking refuge from the weather, were crushed to death in the compactor of their garbage truck. Earlier, twenty-two black sewer workers had been sent home without pay while their white co-workers received their salaries. Two weeks later, 1,100 black sanitation workers went on strike. When the mayor balked at their demands, another of the rolling civil rights face-offs was underway. The difference now was that Martin Luther King, Jr., was distracted by the backlash against his opposition to the war in Vietnam and his struggling Poor People’s Campaign. 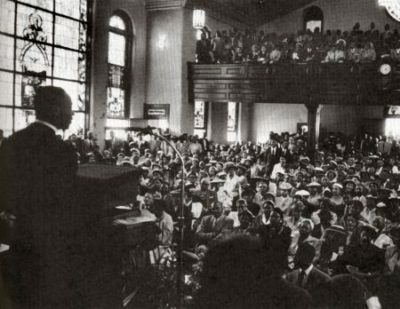 On March 18, King visited Memphis and delivered a speech at the packed Mason Temple. Ten days later he led a march, which descended into looting and death. In response, Tennessee imposed its first state of emergency since 1866, and King vowed to return in April to conduct a peaceful demonstration. “Because I’ve been to the mountaintop,” he declared in a trembling voice. Cheers and applause erupted. Some people jerked involuntarily to their feet, and others rose slowly like a choir. On Wednesday, April 3, King’s Eastern Airlines flight from Atlanta to Memphis was delayed for more than an hour by a bomb scare. When King, Andrew Young, and their colleague Ralph Abernathy finally arrived, Memphis police offered protection, but the tender was declined as King and company feared, correctly, that the white hierarchy was more interested in surveillance than security. King checked into Room 306 at the black-owned Lorraine Motel, a frequent haven for musicians, preachers, and other traveling African-Americans. A storm blew in, complete with tornado warnings and sheets of rain. A tornado actually hit Star City, Arkansas, at 7 PM that evening, killing seven people. Fearing a low turnout, King decided to forego the rally that night and asked Abernathy to speak on his behalf. “Martin had been depressed and feverish,” Andrew Young told me. “But when we got there, the sanctuary was full and people were standing outside with umbrellas. We walked in and people started clapping. Ralph said, ‘These people ain’t clappin’ for us. They think Martin’s comin’.” So we called and said, ‘Martin, you’ve got to come.’” Young sent Abernathy to the pulpit and hopped in a car. King went on to celebrate the accomplishments of the Memphis movement and stressed the importance of maintaining unity. “Whenever the pharaoh wanted to prolong the period of slavery in Egypt, he had a favorite formula for doing it,” he said. “He kept the slaves fighting among themselves. But whenever the slaves get together, something happens in Pharaoh’s court, and he cannot hold the slaves in slavery.” He discussed the parable of the Good Samaritan, in which a man is left to die beside the road from Jerusalem to Jericho. Several men pass him by, before a Samaritan stops to help. “That is the question before you tonight,” King said. “If I do not stop to help the sanitation workers, what will happen to them?” And then he proceeded to his close. Unlike Moses, King’s mood then turned darker. “Several years ago,” he said, “I was in New York City autographing the first book that I had written.” A woman came up to him and said, “Are you Martin Luther King?” he recounted, then pulled a knife from her raincoat and plunged it into his chest. With the handle still protruding from his body, King was rushed to the hospital. “It was a dark Saturday afternoon,” he continued, “and the X-rays revealed that the tip of the blade was on the edge of my aorta. And once that’s punctured, you’re drowned in your own blood.” The New York Times reported the next day that “if I had merely sneezed, I would have died.” Within days, he began to receive letters from all over the world. One was from a young girl. Dear Dr. King: I am a ninth-grade student at the White Plains High School. While it shouldn’t matter, I would like to mention that I’m a white girl. I read in the paper of your misfortune and of your suffering. And I read that if you had sneezed, you would have died. And I’m simply writing you to say that I’m so happy that you didn’t sneeze. As the audience roared its applause, King turned his masterful trick. “And I want to say tonight that, I, too, am happy that I didn’t sneeze. Because if I had sneezed, I wouldn’t have been around here for …” and he went on to mention a number of highlights of the civil rights struggle. King often spoke about death. As early as 1956, his mentor Bayard Rustin told him, “Dr. 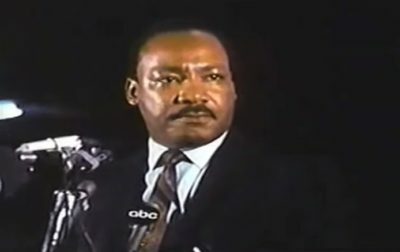 King, I have a feeling you had better prepare yourself for martyrdom, because I don’t see how you can make the challenge that you are making here without a very real possibility of your being murdered.” After John F. Kennedy was killed in 1963, King told his wife, “This is what is going to happen to me. I keep telling you, this is a sick society.” And all through 1968, his aides commented that “he felt his time was up” or he appeared to be “a profoundly weary and wounded spirit.” “You think I’m paranoid, don’t you?” he asked Rustin. “Sometimes I do, Martin,” his friend replied. “One thing I learned from Martin,” Andrew Young told me, “is that the price of leadership is death. We knew every time we left home it could be the end. Martin’s home had been bombed. He had been arrested and thrown into a jail at a time when the jailers wanted him dead. Once in Atlanta, he had been thrown into the back of a paddy wagon in chains with a police dog and nobody else, then driven seven or eight hours to the state penitentiary, rolling back and forth. He said that was the most horrible night of his life. In Memphis the night of April 3rd, King didn’t pull himself out of it. Just past ten o’clock, as a tornado destroyed forty trailer homes north of Memphis, King reached the end of his sermon. He recounted the bomb scare that had delayed his plane that morning in Atlanta, and said that when he came to Memphis, some warned him that the death threats were so loud something might happen “from some of our sick white brothers.” “I don’t know what will happen now,” he said. “But it really doesn’t matter with me now.” He took a breath as the audience blurted, “Amen.” Pulitzer-prize winning historian Taylor Branch captures what happened next. “Because I’ve been to the mountaintop,” he declared in a trembling voice. Cheers and applause erupted. Some people jerked involuntarily to their feet, and others rose slowly like a choir.“And I don’t mind,” he said, trailing off beneath the second and third waves of response. “Like anybody I would like to live – a long life – longevity has its place.” The whole building suddenly hushed, which let sounds of thunder and rain fall from the roof. “But I’m not concerned about that now,” said King. “I just want to do God’s will.” There was a subdued call of “Yes!” in the crowd. “And he’s allowed me to go up the mountain,” King cried, building intensity. “And I’ve looked over. And I have s-e-e-e-e-e-n, the promised land.” His voice searched a long peak over the word, “seen,” then hesitated and landed with quick relief on “the promised land,” as though discovering a friend. He stared out over the microphones with brimming eyes and the trace of a smile. “And I may not get there with you,” he shouted, “but I want you to know, tonight [“Yes!”] that we as a people will get to the promised land!” He stared again over the claps and cries, while the preachers closed toward him from behind. “So I’m happy tonight!” rushed King. “I’m not worried about anything! I’m not fearing any man! Mine eyes have seen the glo-ry of the coming of the Lord!” He broke off the quotation and stumbled sideways into a hug from Abernathy. The preachers helped him to a chair, some crying, and tumult washed through the Mason Temple. Bruce Feiler is one of America’s most popular voices on contemporary life. He writes the “This Life” column for the Sunday New York Times; is the author of six consecutive New York Times bestsellers; and is the presenter of two prime-time series on PBS. His work combines timeless wisdom with timely knowledge turned into practical, positive messages that allow people to live with more meaning, passion, and joy. Bruce is a high-demand speaker on a wide array of topics--from family and life, to motivation and meaning, to health and wellness. His two TED talks have been viewed nearly two million times. For a full list of speaking topics, click here. For information on arranging a speaking event or consulting appearance, please contact Jerimee Bloemeke at contact@brucefeiler.com or email Bruce.